Then I’d continue to explain to the class how it’s not just links that matter; but quality links. I’d try to illustrate this in a way that they would understand: “Getting one quality link is much more valuable than getting ten links from just anywhere. It would be like if I gave you an A+ on your vocabulary test versus if Jimmy scribbled a bunch of A+s on your vocabulary test. They’d be nice to see, but they wouldn’t really matter.” And then Jimmy’s parents would probably contact me for a parent-teacher conference. The point is: quality is much more important than quantity. And in order to attract quality, you have to be willing and able to create the type of content that people are going to want to share. We’ve all seen the same “How to Increase Your [Number of Facebook Fans/Twitter Followers/Klout Score/etc. ]” over and over ad nauseam. Then again, there’s really nothing that’s “new” anymore; everything is a rewrite of something else, in one way or another. So I say if you’re going to “rewrite” something, do it with a little style. Be a Suzy Tastemaker. Don’t be afraid to take a risk. One way to take this kind of risk is by using trending content to your advantage. No matter your niche, there are ways to track and follow the types of content that people in your vertical are talking about. By spotting emerging trends and information right away, and being first to use these trends and information in your content creation strategy, you’re much more likely to receive a link than the person who does it second. That being said, let me walk you through how to go about finding trending content. Obviously you can get the email from this address forwarded to your main account, if you choose to, but I’ve found that it’s much easier to keep track of things if they’re all in one place. In your Google Reader, go to the dropdown menu in “Subscriptions” and use the “Manage Subscriptions” option to organize the different types of alerts and RSS feeds into folders. Find and follow the pages of the blogs you’ve subscribed to in your Google Reader. Use the “Most Recent” option in your News Feed to spot stories, videos or images that are generating buzz by gathering “likes” or comments. 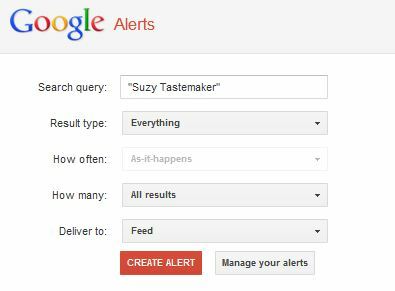 Use search.twitter.com to find Twitter conversations about the same type of phrases that you’ve set up Google Alerts for. Again, subscribe to the channels of the blogs you’ve added to your Google Reader. 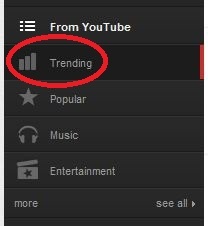 Keep an eye on “Trending” videos; which can be found in the menu on the left. You know what I’m going to say…find and follow the boards of the blogs you’ve subscribed to in your Google Reader. 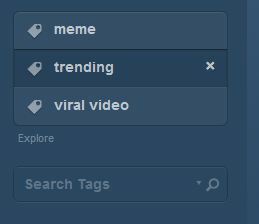 Use the dropdown menu at the top to specify the type of popular/trending content you’d like to explore. 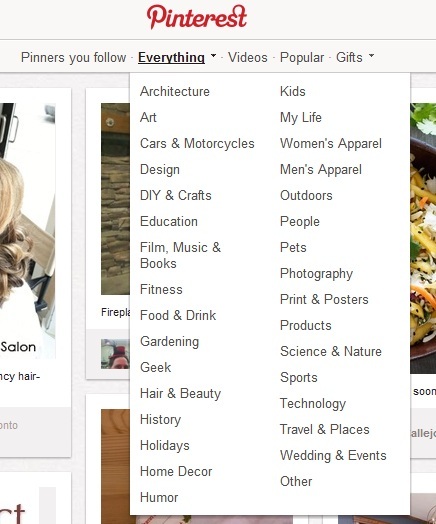 Use the search bar at the top right to find Pins, Boards and People that post the type of content you’re looking for. Not everyone you’re subscribed to will be active on every platform, but at this time, find and follow their Tumblr blogs if they are. Use the “search tags” box on the right side of the Dashboard to find and track the type of content you’d like to keep an eye on. 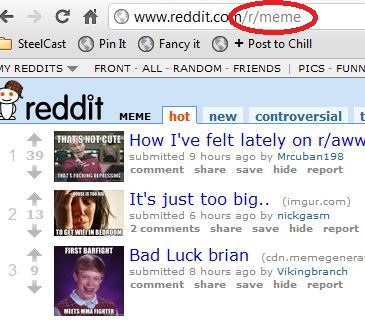 “Redditor” accounts for brands and products are not as easy to find, as Reddit has a very specific type of audience that not all niche content works well on; but you can still use it to spot trends. You can subscribe to any Subreddit you choose; the category will show up in the left-hand “My Reddits” dropdown menu. 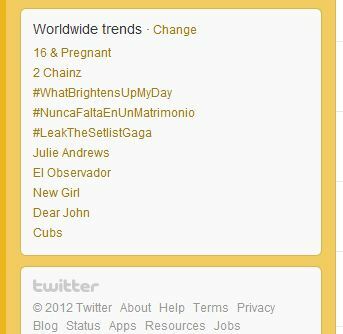 So now that you know where to look for trending content, the next question is: what are you going to do with it? Well. That depends on your niche and the type of content you’re trying to create. Be mindful of your target market and the market of the platforms listed above. For example, a law firm probably wouldn’t use a meme image on Reddit to get the word out about their services, but they could take a popular ethics or law-related story from Facebook or Twitter and put a new twist on it to explain a certain aspect of the justice system. Getting links is no longer about those who can shout the loudest; it’s about those who have the most important things to say. And if you can say something important while incorporating a trending topic into your content, you’re going to attract a lot more attention. You’re going to become someone who others look to find their trending content. So be a Suzy Tastemaker, not a Little Jimmy. Because no one likes an obnoxious brat. Courtney Bishop is a blogger and Marketing Manager at SteelCast. She loves words, all things creative, sandwiches and Pinterest. Follow her boards.